Starring Will Rogers Jr., Rogers of the Gazette rode on the coattails of the 1952 movie, The Story of Will Rogers. 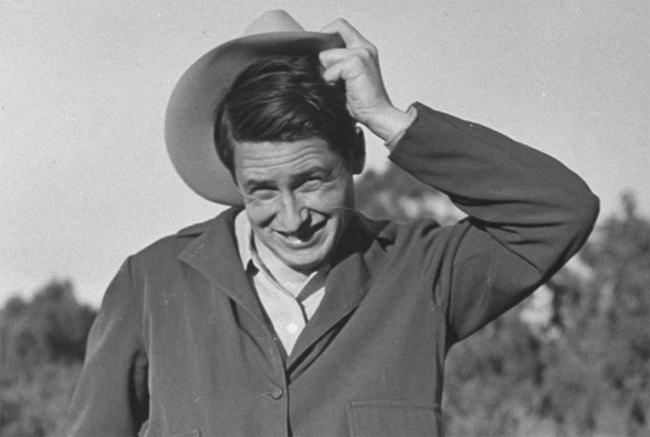 Will Rogers Jr. played the his father's role in the movie as well as the old time radio show. In the radio show, Rogers is a country newspaperman in a small town, where everybody knows everybody and gossip flies quicker than a whip can snap. Rogers works closely with his "friendly newspaper editor Maggie Button. Stories often consist of Rogers helping those in need of life's lessons and helpful advice. Wise owl Rogers offers quips such as, "A feller once said that you oughta keep one eye on your children and the other on the politicians. I guess that's right. But if only one eye is workin' and you gotta make a choice, just figure that the children will probably do pretty good by themselves. So take your boots off sit a spell by Will's pot belly stove, because these small town stories are sure to warm your heart as well as your heels. Be the first to comment on "Rogers of the Gazette"